The core of the Cryptshare system is our Cryptshare server, which resides either in your DMZ or externally hosted. Its web application can be used from any pc, tablet, or smartphone at any time without user account or extra administration. 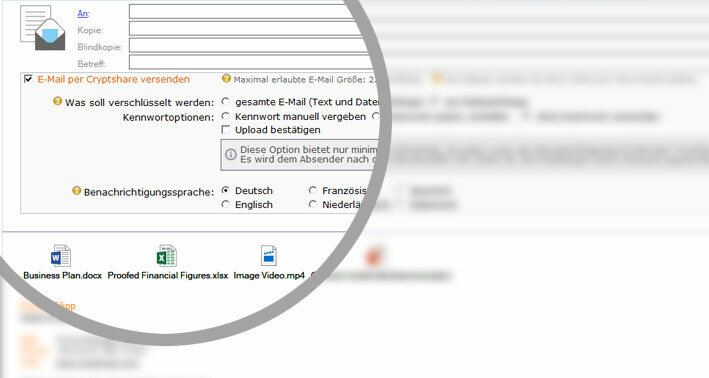 It is very easy to use for communication with your external business correspondents and for them to communicate with you. 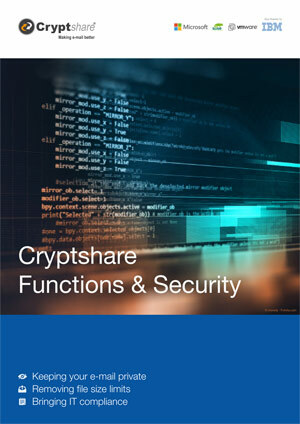 Your Cryptshare server is also the core module if you decide to extend your Cryptshare system with e-mail integration or other automation modules. 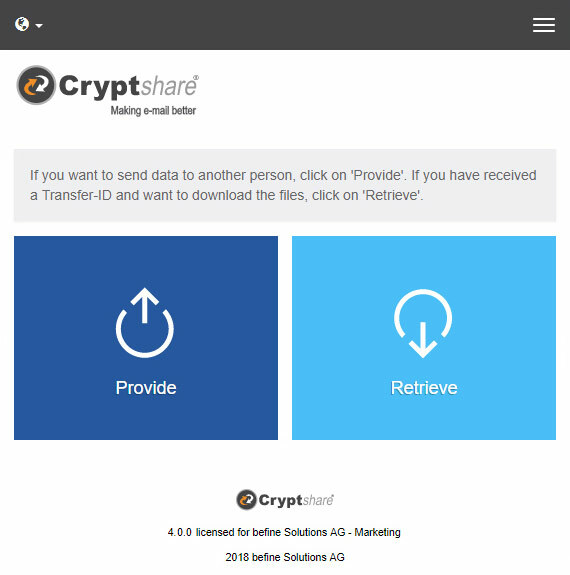 Cryptshare is easy to use for you and the person to whom you send files, as one of our customers said ‘if you can use e-mail you can use Cryptshare’. All you need is e-mail and a browser there are no user accounts or complex software set-up needed. First enter some basic information about you, this allows Cryptshare to authenticate who you are by sending you an access code. With this code you are able to follow three simple steps to send your file. Complete details of the people to whom you want to send something. Add your message and select your password if you want to use one. You may decide to have them call you to get the password, have one pre-agreed or simply send it to them by another e-mail or text. A password strength test is applied to help you. Select the file or files that you want to share. These can be from any source that you have access to. The file or files can be multi-gigabyte in size. Cryptshare advises you on status. You will know for sure when your files have been downloaded, and by whom. 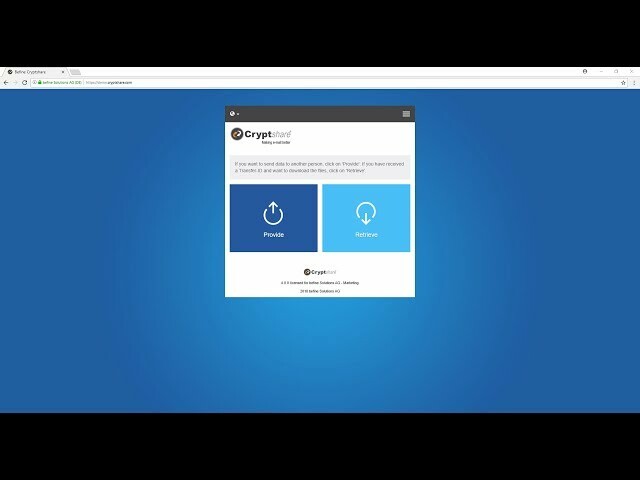 Cryptshare offers extensive admin controls. 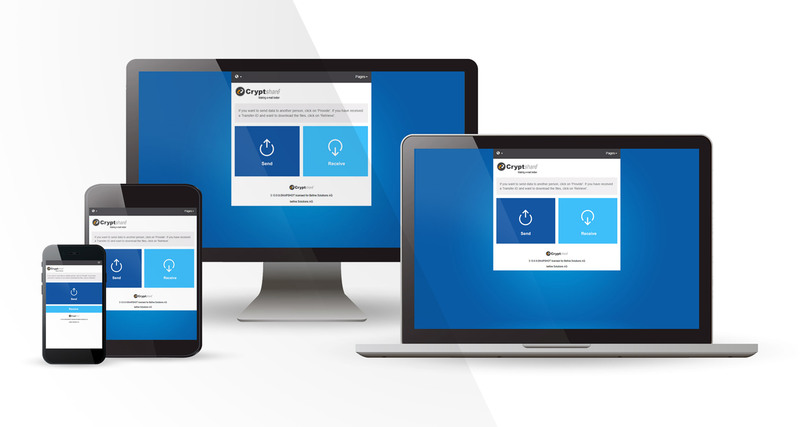 Cryptshare comes as a virtual appliance (hosted if you wish), hardware appliance or windows server licence so that you can choose the best installation for you. Hardware appliances come pre-configured for your network. Virtual appliances can be set up using our VM Build Service. Both can be taken productive in no time. All you need to do is install an SSL certificate, set up a link to your mail server and make sure your firewall is set up so users can reach the Cryptshare Server with their browsers. As the system uses a web frontend, no client software installation is required. You can place a link on your website to point external senders to your Cryptshare server. For internal senders, place a link on your intranet, roll-out a desktop icon or a browser bookmark to your users. 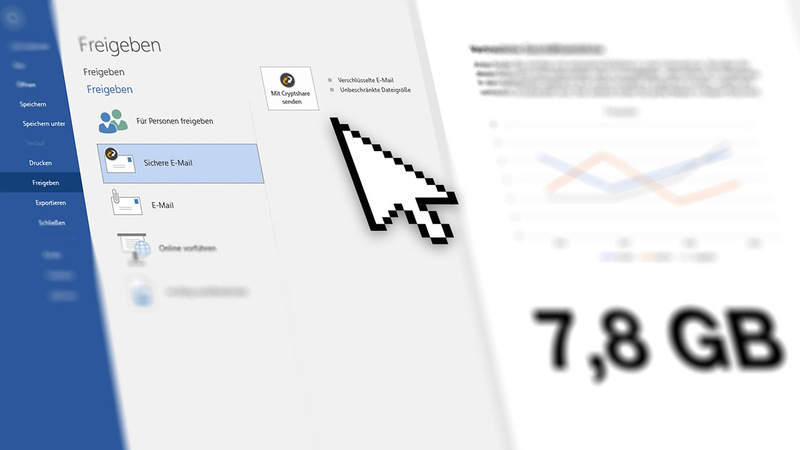 For those who send large files inbound our outbound via e-mail and exceed your size limit, edit the response messages that your mail server sends and point the sender to your Cryptshare system.